We enjoy highlighting our members’ accomplishments. Have you written a book recently? We’d love to include your work in our 2016 Book Fair. Please contact us and let us know! 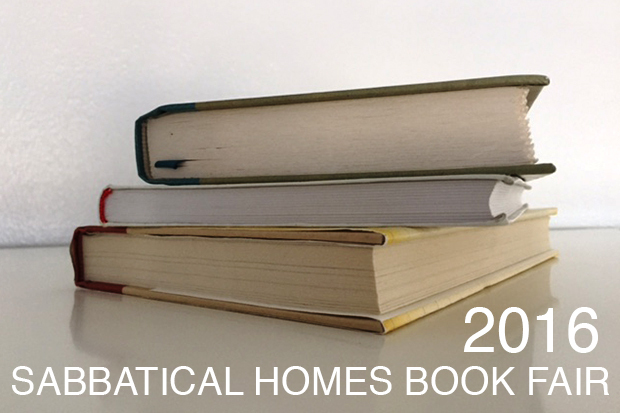 Click here to take a peak at our 2016 Sabbatical Homes Book Fair! My husband has written a book (in Italian). What do you mean by ?We’d love to include your work in our 2016 Book Fair”? Hi Carla, Please email us the details of the book and we will include it on our 2016 Book Fair on our blog where we highlight books written by our members! which has just come out in a new edition, in February. Hi Caroline, Please email us with more details…we’d love to include both books! How about books not yet published?? Books yet published are welcome if you think they will be published in 2016. WE wrote a book published in 2010, Courage and Croissants, Inspiring Joyful Living. Would you consider it or only books this year? You can find it on amazon. I am happy to send a copy.